This is what I usually prepare for my lil dolly's morning meal... Yogurt for babies, Juice and fresh cut fruit. Fruits may vary everyday. Yum! Am sure ubos yan mamaya ni Anzu hehehe. I love your post. It's so cute, it's really for babies. I remember the time when I have babies. I missed all those times. no wonder you have a healthy baby. good job, mommy. 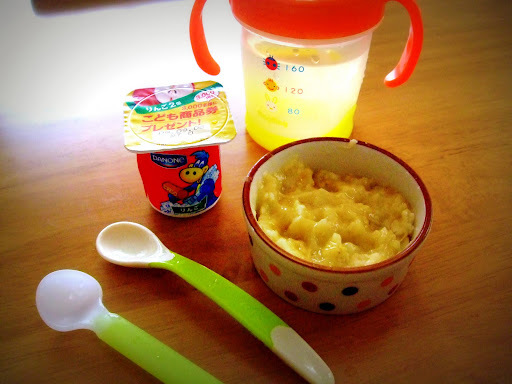 Yummy for baby...that is good for the baby..TC Happy MYM! 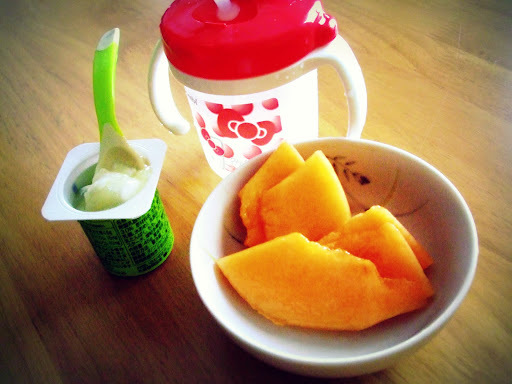 I sooo love yogurts...whenever I go to 7-11, I always grab a yogurt even if I'm buying extra hehehehe. Have a nice week! am no longer having problems what food to prepare for andrea kasi kumakain sya kahit anong kainin ko! How nice naman ng breakfast nang darling baby mo. Masarap na, very nutritious pa. Buti naman at vey health conscious ka at hindi mo pinatataba nang husto ang prinsesa mo. Ang cute cute pa naman. Thanks for the post. God bless you always. wow sis, what a healthy preparation for a morning meal.. You gave me the idea.. I dont usually prepare like that for my older children.. Thanks for sharing those.. It made a great tip for me.. Such a healthy idea.. 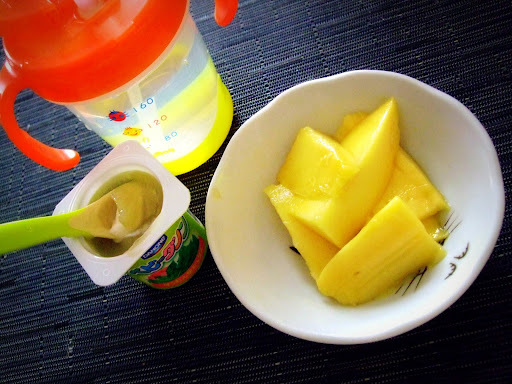 I also give my baby yogurt and it has become her fave..
look yummiiii,, here i have another cooking recipes, please visit end still hungry again, hehehe..
oh my....very healthy talaga...super mag alaga si mami...wonder mom talaga! taraptarap naman ng breaky ni anzu. super mom talaga ang mommy mo kahit ano kayang gawin. Visiting here reminds me of my kiddos youngest time.Ang sarap talaga ng may baby sa bahay.Kaya naman excited na akong magkaapo sa eldest ko hehe,sounds silly but it's true.Kaya nga when they talked about that they waanted to get settle na the soonest me & hubby din't dissaproved them we gaave them our Blessings. I like the way how you prepare foods for Anzu chan.Mommy knows best talaga. Hugs & kisses to Anzu chan!Mwah!